Infiniti will build the outgoing G37, above, and its replacement, the Q50, for the rest of the year. BOSTON -- Infiniti will keep filling orders for the outgoing G37 sedan for the rest of this year, even as its replacement fills dealers' showrooms. Rather than attempting an abrupt changeover on its highest-volume model, Infiniti says it will build both the old G and the new Q50 sedan for the rest of 2013. The Q50 goes on sale nationally today, Aug. 5. Both models are built in Japan. Infiniti will introduce the hybrid version of the new sedan simultaneously. The company expects the hybrid to account for about 10 percent of Q50 sales. Infiniti has been in close contact with its 200 U.S. retailers on the launch of the new sedan. In recent weeks, the factory has held VIP customer events at about half of the stores, allowing Infiniti owners to test drive the Q50 and compare it to a BMW 3-series. As it steps up marketing efforts on the Q50, Infiniti will offer the older sedan as a less-expensive option for Infiniti customers, says Rob Simmons, Infiniti senior manager of marketing for the Q50. But Infiniti will not continue to advertise the G.
Infiniti expects initial customer traffic for the Q50 will be tilted heavily toward purchases rather than leases, Simmons says. 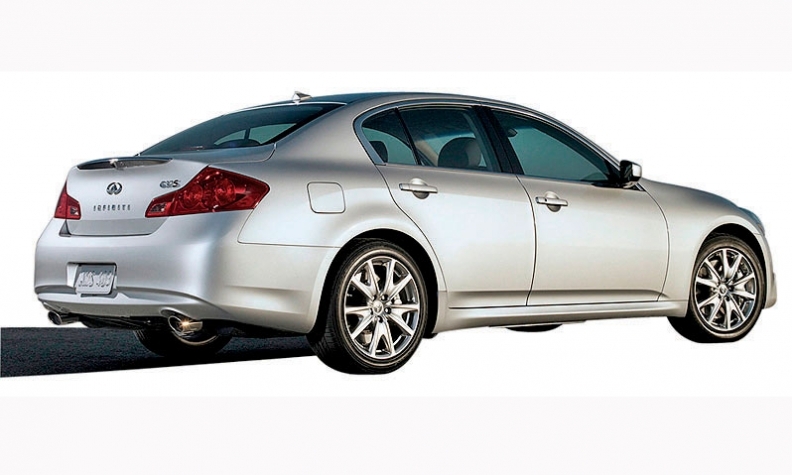 Leasing accounts for about 75 percent of transactions for the G37, which is in its seventh year. Q50 leasing will be less than 50 percent of deliveries, Simmons forecasts. Last year Infiniti sold 46,828 G sedans in the United States, or about 40 percent of total sales.